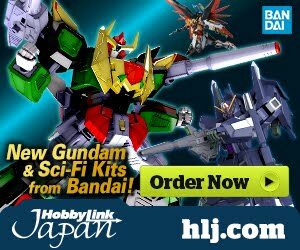 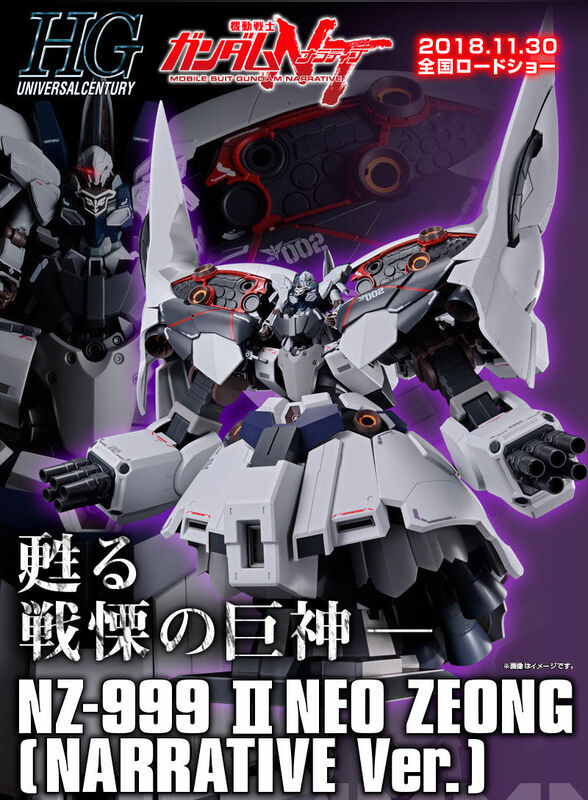 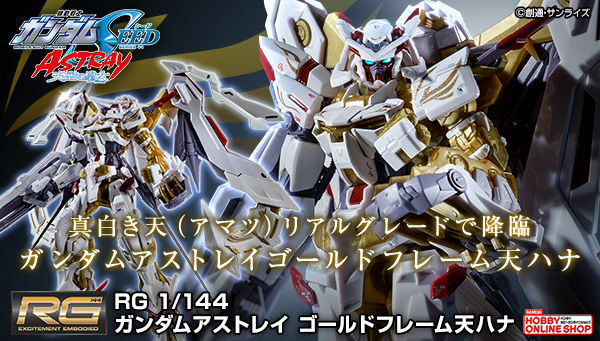 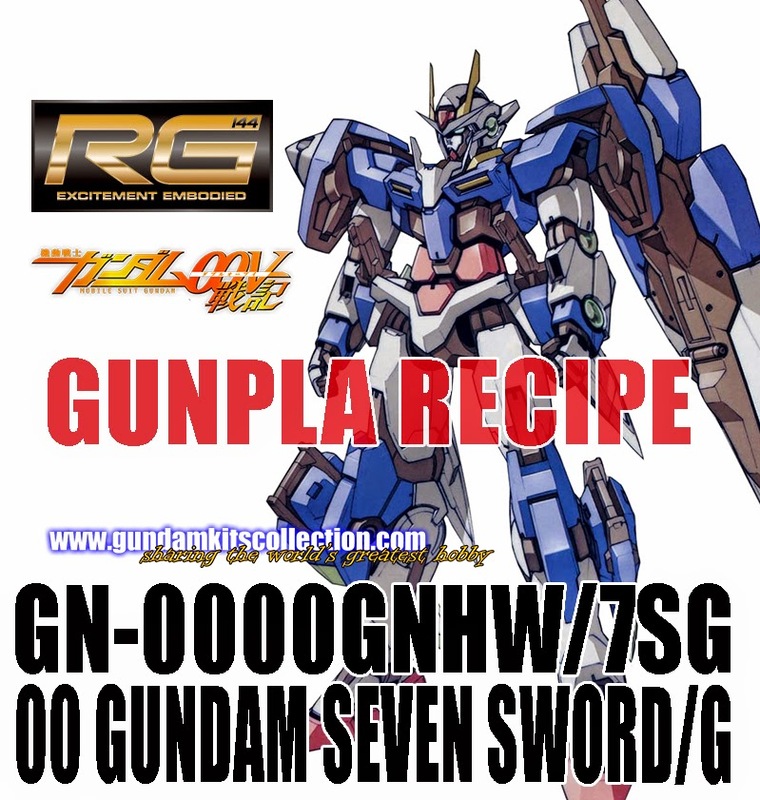 Update [September 21, 2016] Bandai is releasing an actual Real Grade kit of RG 1/144 00 Gundam Seven Sword as EXPO exclusive starting November 19, 2016. 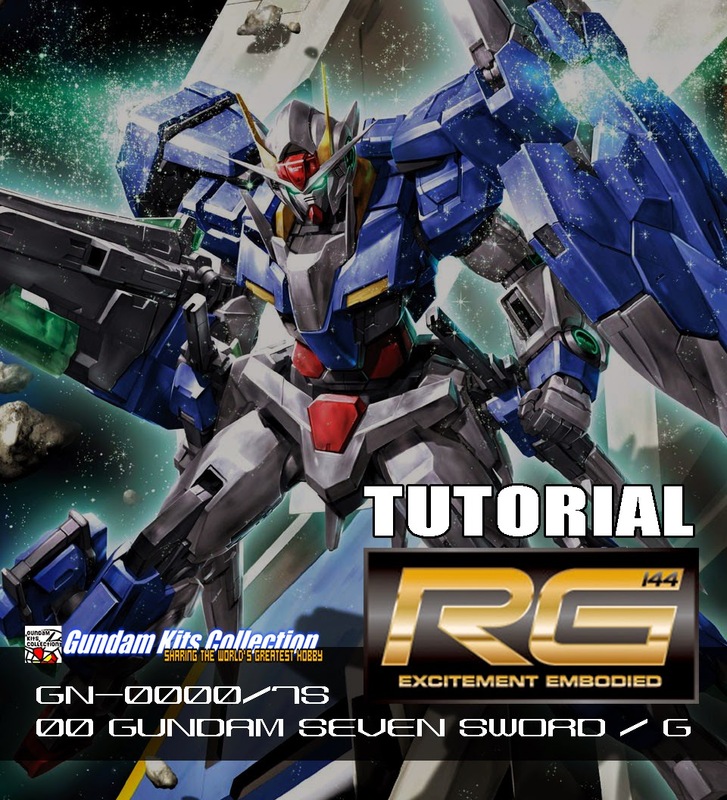 Since I really like pulling off some variations from Real Grade model kits, I present this personal tutorial on how to make an RG 1/144 00 Gundam Seven Sword/G. Let's start on the knee part because this one is the most tricky part of the conversion. 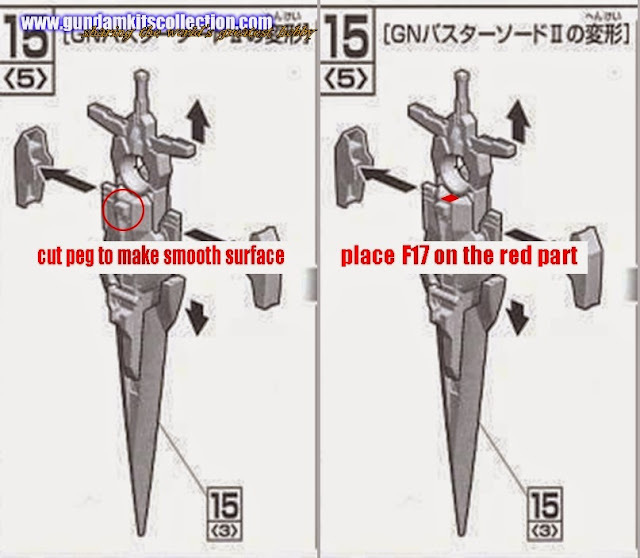 Cut through the red line as shown on the image below. 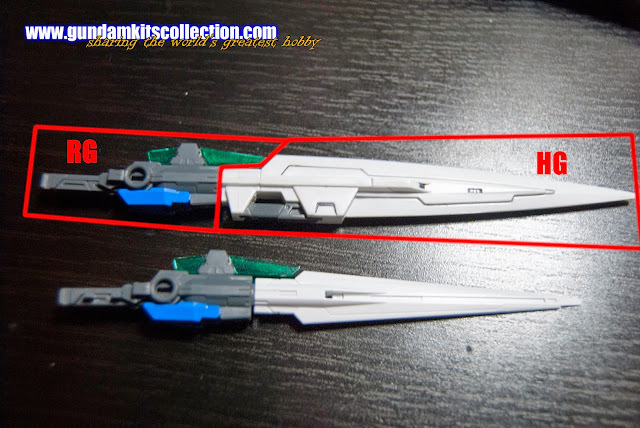 This will provide enough space for the HG 1/144 00 Gundam Seven Sword's knee cap. 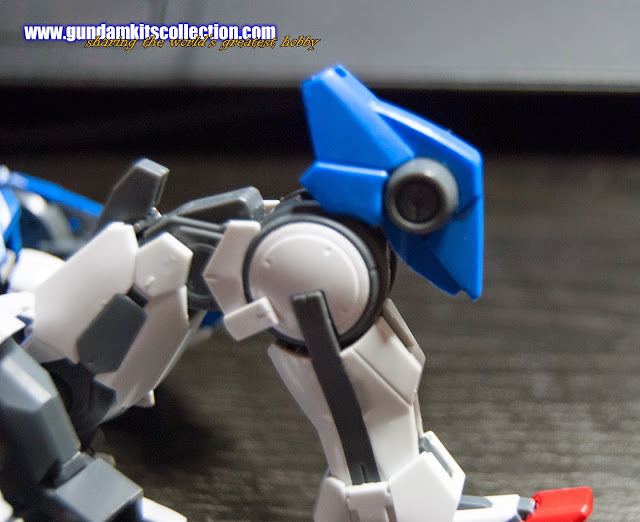 NOTE: Put the knee cap after putting all the necessary armor parts to avoid misfit. 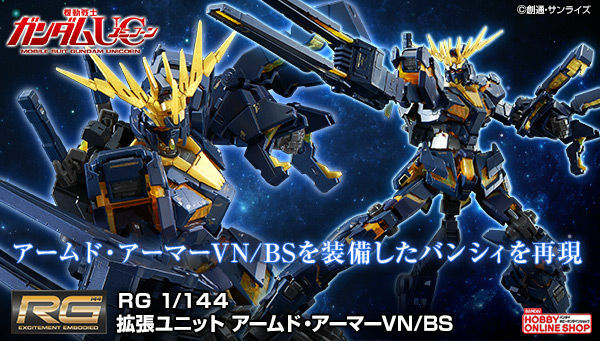 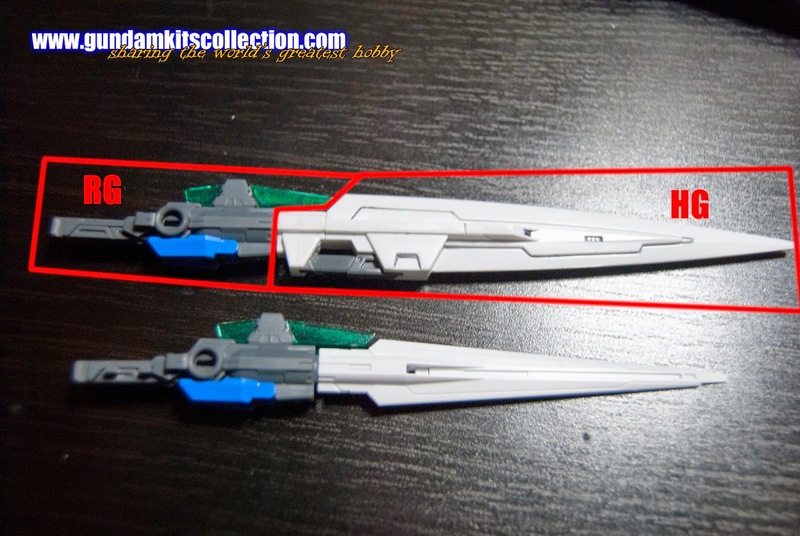 Next is the GN Sword II Blaster. 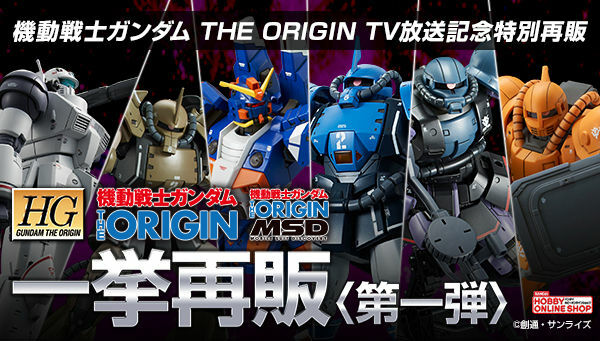 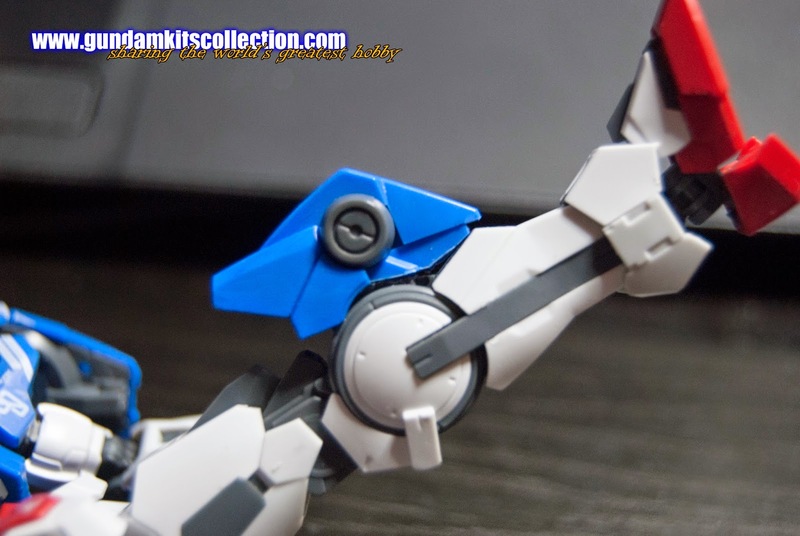 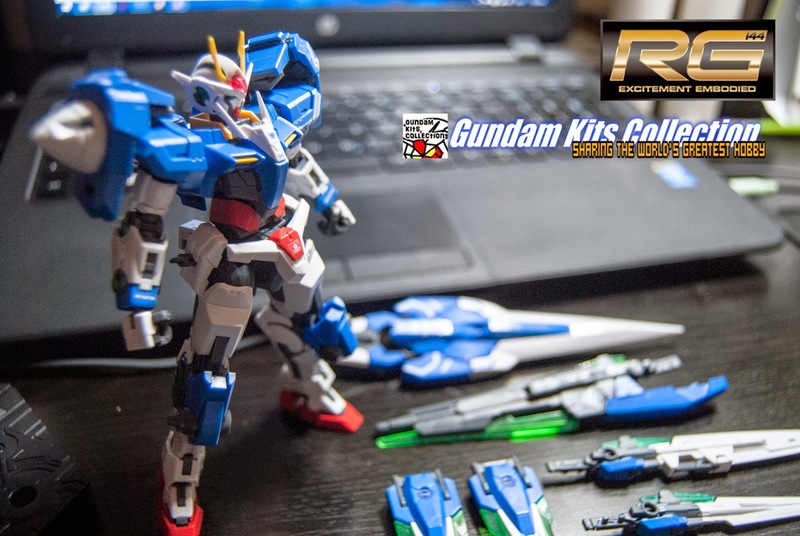 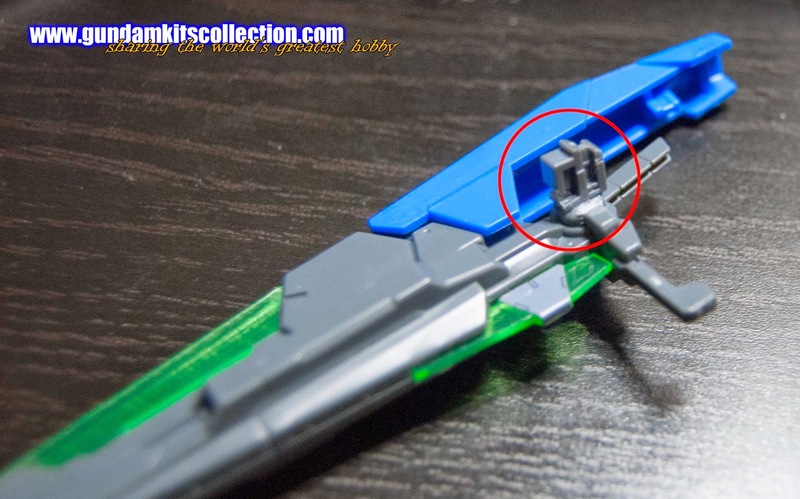 All you have to do is cut the peg of the HG GN Sword Blaster that connects to the GN Drive and replace it with F17 part from RG 00 Raiser, just like the pictures below. 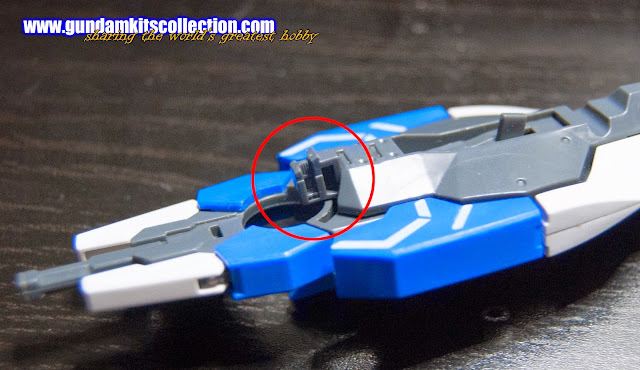 NOTE: before placing F17, make sure that you remove the pegs above it. 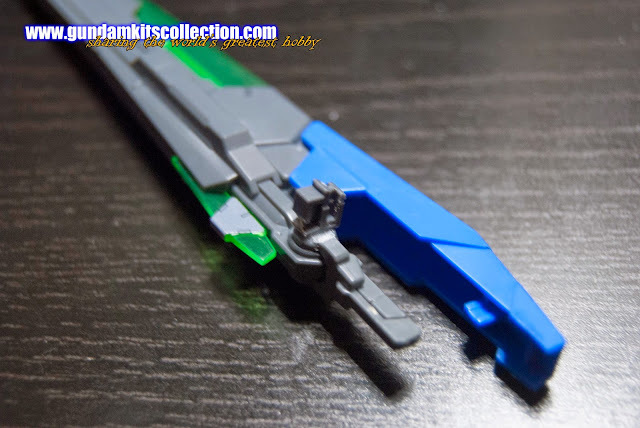 Connecting GN Sword II Long to RG 1/144 GN II Short's handle. Easy breezy step, just glue each other on!